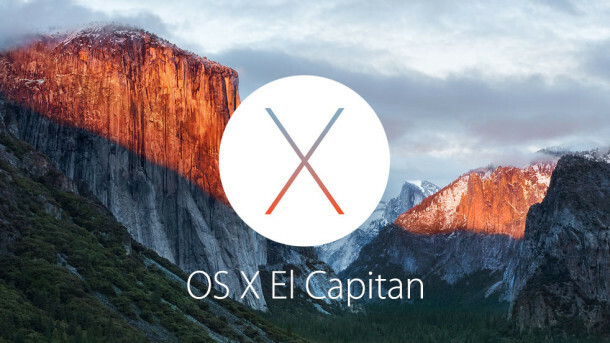 Apple has released new beta versions of OS X 10.11 El Capitan for Mac users. The fourth developer beta arrives as build 15A226f and marches the operating system ever closer to a stable release later in the year. At the moment, the latest OS X 10.11 beta is only available to users in the Mac Developer program, but typically the developer beta releases roll out to Public Beta users soon afterwards. Mac users who are eligible to download the new OS X El Capitan beta will find it accessible through the Software Update mechanism of OS X by going to the  Apple menu > App Store > Updates tab. Developers who have yet to install the beta version can also access a download code from the developer center to use in the Mac App store. A reboot is required to install the update as usual. OS X El Capitan has an emphasis on performance and stability, and will be released to the general public as a final build sometime this fall. Separately, Apple has released iOS 9 beta 4 for iPhone, iPad, and iPod touch, and WatchOS 2 beta 4 for Apple Watch as well. Curious! Over 200 billion Dollars in Apple’s cash reserves and they still put out final releases which are actually beta releases. OSX 10.10 was released to Apple’s customers and even at version 4 it now and then throws a ‘nasty’. Why does Apple get its customers to beta test its OS’s – can’t they afford to do it properly themselves? It can’t take more than 200 Billion Dollars – surely! Still I guess the captain will be reasonably stable and feature complete by this time next year. Seriously, grow up. The more in the wild testers you have the greater the results in resolving bugs. One team of testers cannot even come close to hundreds or even thousands of meters. Microsoft have been doing it for years. Now buzz off blow fly. In some situations, Apple has a skeleton crew (or no one!) on some software development projects. Case in point, the iPod Nano, which they just updated, but has ancient software – according to John Gruber (the unofficial Apple PR guy), there is literally not a single software engineer assigned to the iPod Nano anymore! LOL! Literally nobody is working on the software for a product they just released!! So yea, they probably have 2 or 3 entry level interns working on OS X, and it shows. Everyone else is assigned to the iPhone since that’s where the money is. The Mac? Ah, Jony Ive will squish the hardware down a bit, who cares about the software side, just make the laptop thin and have no ports, who needs ports anyway? Just make that laptop thin, so it looks nice and svelte as it crashes on your desk. Job well done over there in Cupertino. Software, what’s software? I have been running El Capitan since Beta 1 with no issues, each iteration appears to be faster. I can’t even get feedback assistant not to crash! Spit screen makes no sense to me as the menubar is lost on use. Lots of other crashes. Splitscreen if only for fullscreen apps so if you never used fullscreen mode before, its not for you. I think the reason they release Beta’s to both Developers and to customers who have signed up for the testing is because the customers try things and do things and uses combinations not obvious to the standard ways of thinking. These users provide input from situations that testers don’t think to try. This input and feedback should make for less bugs and glitches. Regardless it is always wise to wait an iteration or two before installing a new OS if you are really concerned about problems. Having been in Software Development first as a developer, then designer, and lastly up the management chain, I used to argue often with development schedules. My experience was that my journeyman developers,those who had commercial system software development experience of about 3-4 years and up, cared and took pride in their product. They would code for every exception they could think of. The real world always contains more than they can think of. So I would argue for Rapid Iterative Development and strong beta release first in house, and then to trusted, tolerant customers. Many bugs were found that way that would have been day 0 exploits and crashes.